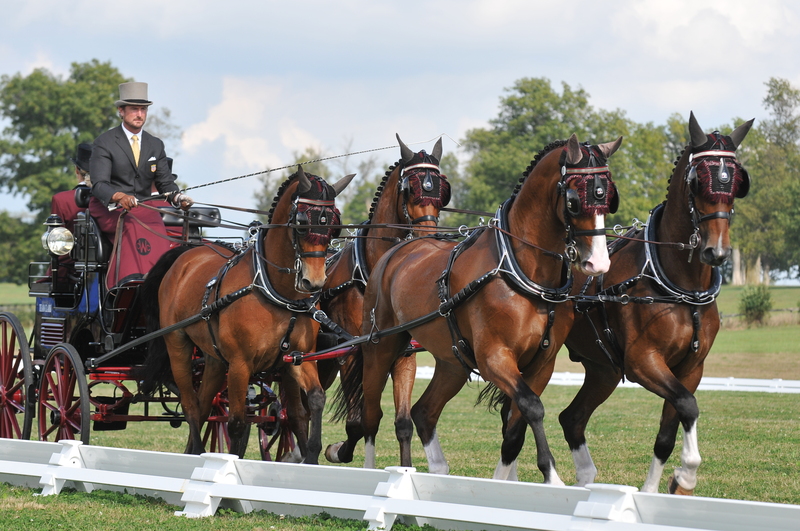 For 25 years, the Weber family has opened their private farm to host top equestrian competition in Ocala, Fla.
Driving onto the grounds of the stunning Live Oak Stud, it would be easy for visitors to believe they have been transported to a magical equine paradise. Across nearly 4,700 pristine acres, horses frolic in green pastures behind miles of black board fence as Spanish moss hangs elegantly from towering live oak trees. 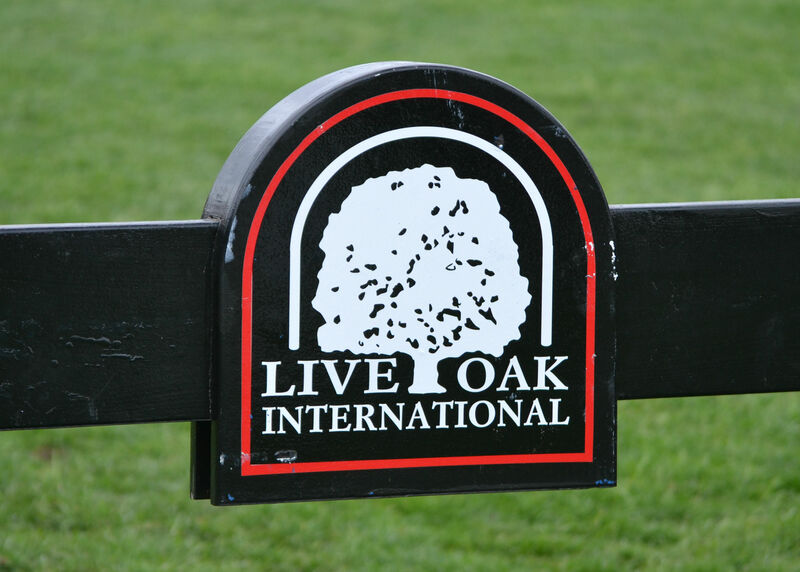 Since 1969, Live Oak Stud has been owned and loved by the Weber family who established a legendary Thoroughbred breeding and training operation over the rolling fields, as well as diversifying their farming operation to include sport horses, beef cattle, select crops, and a model composting facility. But early each spring, this exquisite private farm opens its gates to the world to conduct one of North America’s elite equestrian competitions. 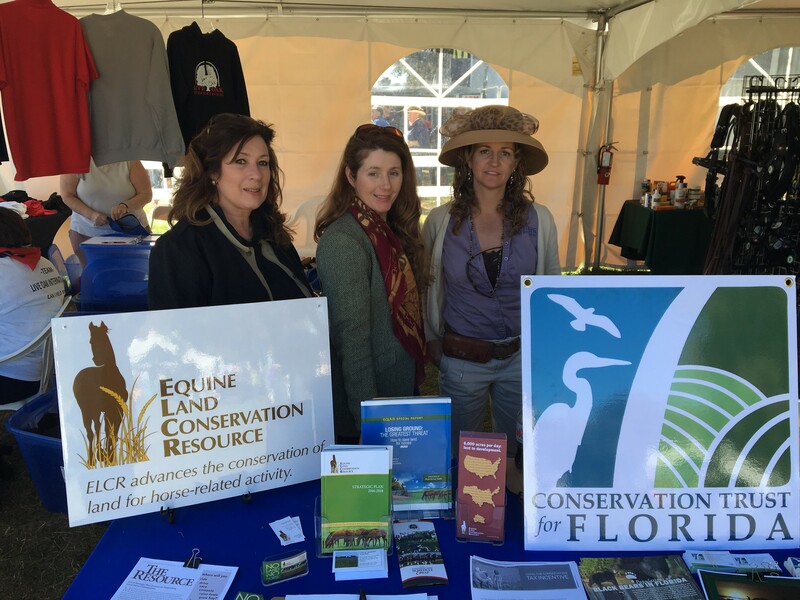 , Holley Groshek, Executive Director, ELCR; Busy Kislig-Shires Byerly, Assistant Executive Director, Conservation Trust for Florida; and Jamie Cohen, University of Florida/IFAS Extension, at their shared exhibit space in the Vendor Village.